Ø The length of the head is 1000mm, the length of the tail is 1000mm. The inner bracket is made of stainless steel square pipe welding and the outer covering plate is stainless steel bending welding. 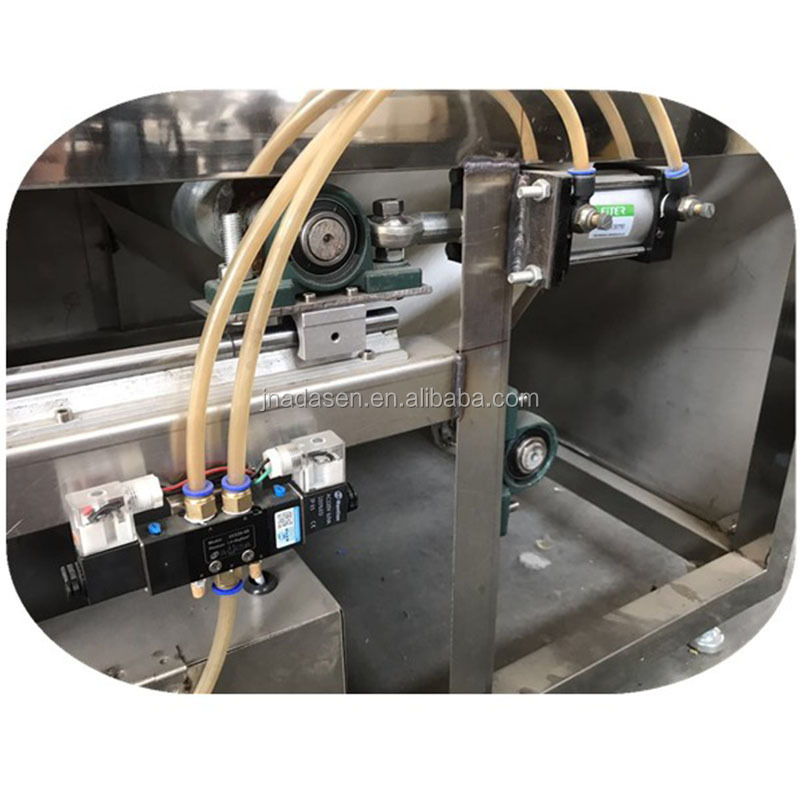 Ø Box bracket made of 50*50mm stainless steel pipe welding, the bottom of the foot with a screw to adjust, connect the nose and head screws of the machine. Ø Microwave heating boxes,2mm thickness 304 stainless steel. 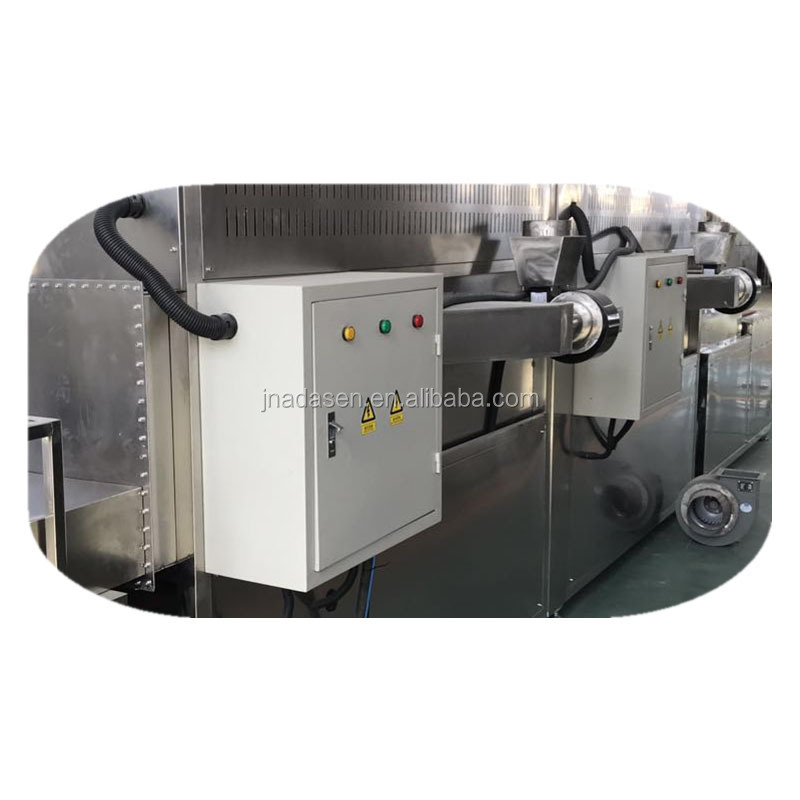 Ø In order to facilitate cleaning and operation, the box body is favorable for the discharge of the gas to be cleared. 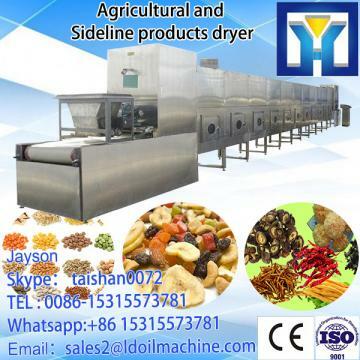 Ø The top has a wet discharging hole, with a wet exhaust hood. Inter layer gas exchange. Ø Phase complementary form of multi-port energy-feeding technology, microwave from top to bottom at the same time broadband uniform feed. 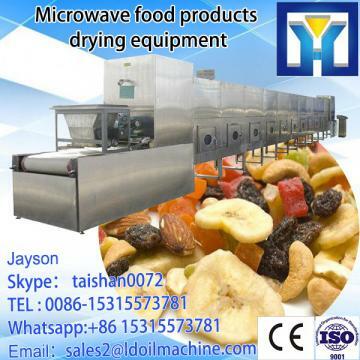 Ø The feed end is equipped with long 1200mm, opening 60mm high microwave suppressor to prevent microwave leakage. 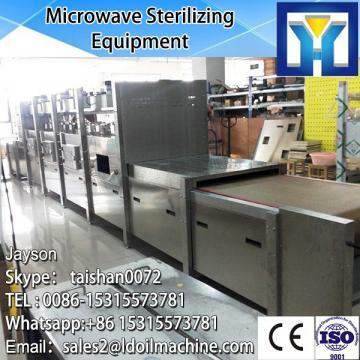 Ø The output side is equipped with a long 1200mm, opening 60mm high microwave suppressor to prevent microwave leakage. 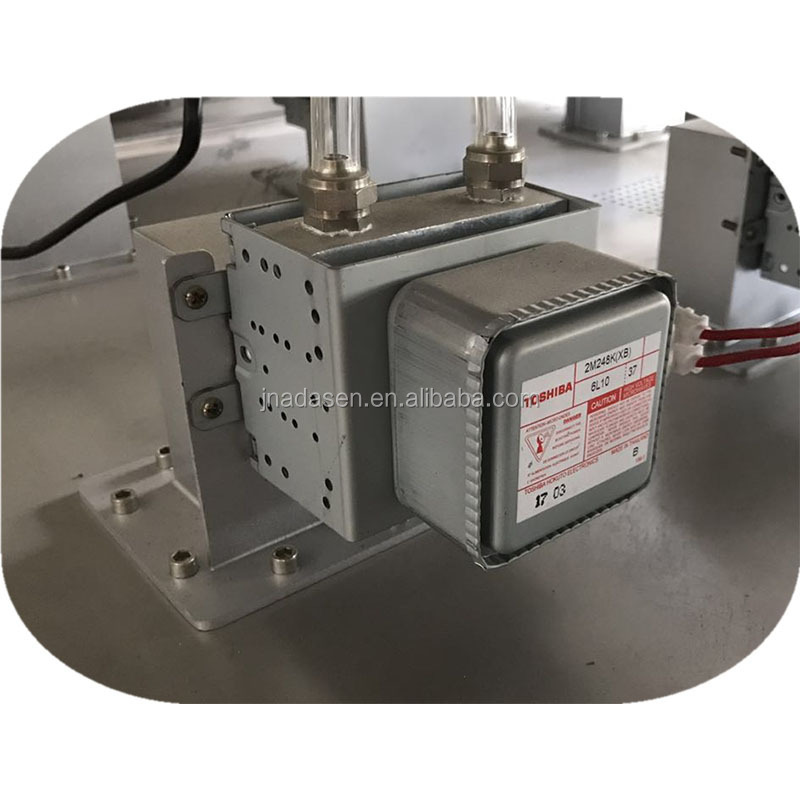 Ø Transmission motor output power: 1.5kw, through the inverter frequency control, speed adjustable. Ø Using PTFE mesh belt, conveyor belt width of about: 500mm, directional guide, without correction. Ø Heating box each box body with 304 stainless steel bracket and tightly secure, completely avoid cavity fire ignition.